If it’s not on Strava…then it didn’t happen. This is a saying that’s been doing the rounds for a few years. 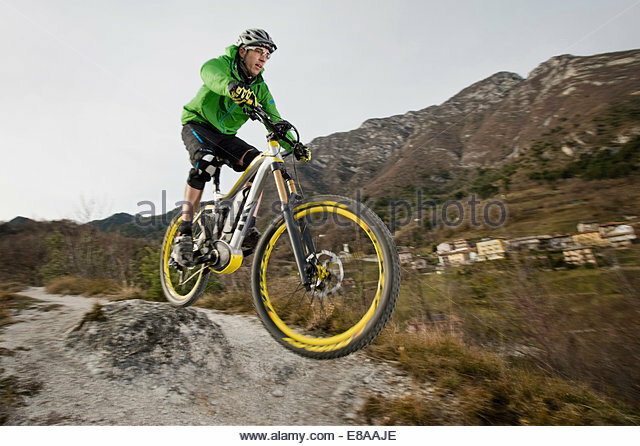 In mountain biking circles it’s used in a semi tongue-in-cheek way, much like “dropping in!”. I am here today to attest to the fact that rides not on Strava can, and in fact do, happen. I didn’t get out for a ride at the weekend. My ankle’s been playing up and I didn’t want to risk aggravating it. I didn’t ride during the week either. Work has got in the way of getting out in the evening. I didn’t ride the week before. See above. Or the week before that. See a pattern emerging? So, I cleared the diary for this morning. I was damn-well going to get out. On the one hand, a ride that’s up to my ankles in mud has limited appeal. On the other, we had no power or heating (I even made the morning cup of tea outside with the storm kettle) so I wasn’t going to get much work done. Thus I may as well get out and ride. Except my phone is on its last legs and seems unable to pick up GPS, thus no Strava. Somehow, not Strava-ing a ride feels like cheating. It’s like forgetting to lock the door on the way out. It’s plain wrong. Unfortunately, if I was going to ride, then there was to be no Strava. “What if I go really fast and don’t get a time?” said part of me. “Shut up and enjoy riding the bike.” Said another. I listened to that part. I was expecting the trails to be filthy. Turns out I was completely wrong. They were beyond filthy and into minging. There was one point where I stopped every few hundred yards to wipe my glasses because I couldn’t see enough through the spray to reliably avoid obstacles like trees. It was foul. I was sliding around all over the show, and so covered in filth that I began to slide off my saddle. It was an absolute hoot. I also discovered that someone had been out and chainsawed through a few fallen trees along the way that had been irksome to get off and climb over. Thanks big fella! Clearly the riding gods were on my side this morning. The rain was teeming down, the trails were sodden and there was spray everywhere (particularly on me). It was great. It was also time to turn home. The clock was ticking and I was getting tired. On my return I was asked if I would like a cup of tea and whether I would like to get undressed outside, after hosing myself down. This is what happens when one’s wife also rides. I duly hosed down the bike, my kit and myself (in that order) before being allowed in through the back door. The downside of riding in conditions like this, fun as they are, is that clearing up afterward takes an eternity. Currently there is washing on, a waterproof hanging up in the shower, shoes full of newspaper (from where I hosed my legs down) and mud in odd corners of the kitchen. I don’t even want to touch my bag until it dries off a little. Was it worth it? Oh god, yes. I feel much better now. It is also definitely time to winterise my bike too. My sense of wellbeing says it happened. How can it be cheating if there are no rules? E-Bikes are taking over the world. What are we going to do about it? What the hell is an E-bike? Sadly, they are not a range of Yorkshire bikes. Instead, they are bikes where a motor assists your pedalling. Power assisted means that the motor only works when the pedals go round. So, no pedalling=no power. Simple really. 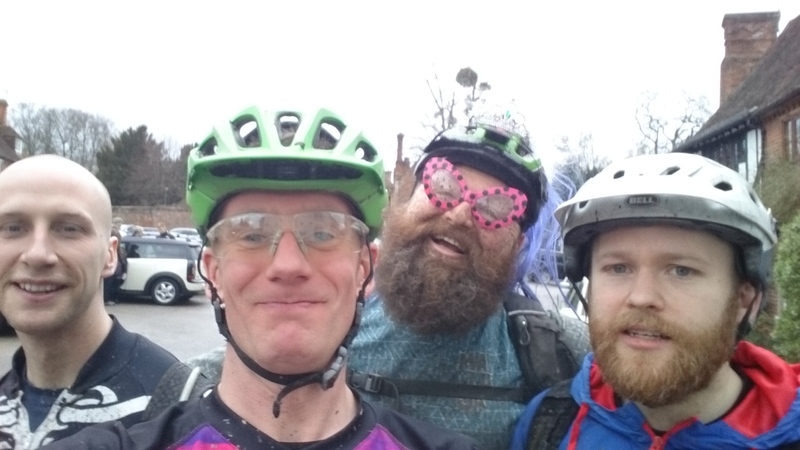 Like it or not, if you are keeping up with current mountain biking affairs, you need to have thought about them. If you want to think of yourself as abreast of current developments, then you probably ought to have an opinion about them. This definition of people who are different from yourself as “not real” whatever, comes up a lot in situations far more serious than mountain biking (usually associated with unpleasantly narrow definitions of belonging and nationalism). It really raised my hackles. It also made me think: who are you to set the rules and tell me how to ride my bike? Now we come to it: they’re bad because it’s cheating. Cheating whom, exactly? There are always rules for things. A group of roadies have compiled a set of ever-so-slighty tongue in cheek Rules for riding on the road. They’re worth reading if you haven’t already. These are rules that enable you to get home in the same number of pieces as you set off. Things like: make sure your bike is working properly, have a plan for if someone has an accident, check the weather and plan accordingly, don’t ride off a cliff, don’t ride the wrong way along a trail centre trail. They’re fairly self-evident and it’s a good idea to follow them. 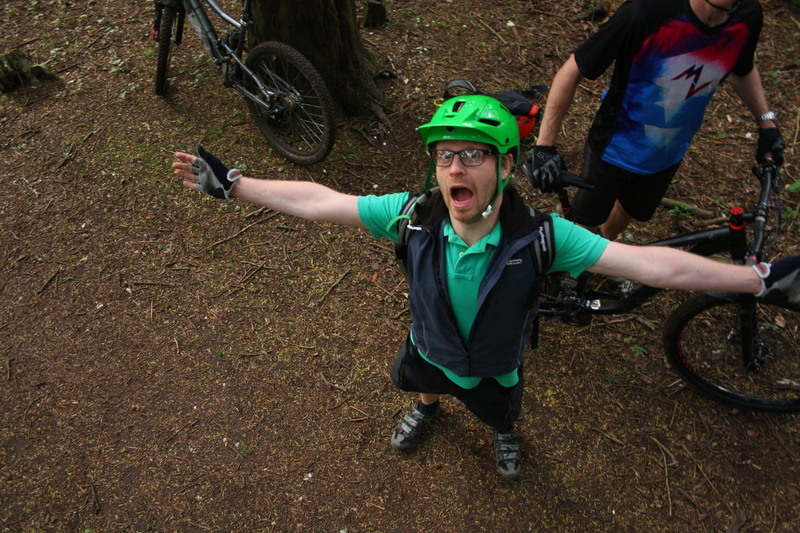 In Britain, legal rules mostly boil down to access: where are you allowed to ride? Bridleways are fine. Footpaths are not. If it isn’t a road, bridleway, BOAT or restricted by-way then the chances are you’re not supposed to be there. You can also count things like closing gates, not chewing up trails, slowing down for pedestrians and horses. Following these rules minimises the chance you’ll get into trouble with the law. It’s a good idea to follow them. Now we’re into etiquette. We’re talking about things like: be nice to each other, offer to help people who might need it, don’t go haring past someone who is slower. These rules are there to make everyone’s life that little bit better because we’re basically being nice and looking out for each other. This is really what disgruntled is talking about. The bikes aren’t breaking any safety rules, they’re not against the law, social rules are largely down to the person in the saddle rather than the bike. So what rules has the E-biker broken? They’re cheating. They’re gaining an unfair advantage. They’ve broken the rules that keep the playing-field level. Competition. Competition is about comparing things to see which one is better. In order to make it a fair comparison you need rules to ensure that you are comparing like with like. If you are comparing how fast two cyclists are, then you need rules to ensure that you’re comparing the two cyclists. This is where being motor assisted breaks the rules: It’s unfair to compare a cyclist using only their legs against one who has a motor. Motors are big news in the worlds of road and cyclocross racing. So they’re cheating then? Only if you’re racing. Only if you want to compare one rider with another. Only if the first person across the line is important. You might have noticed that I didn’t appear at the Olympics this year. Simple really. If your bike is safe, if you’re following the law and you’re polite then you’re grand. From where I’m sitting, my charges are already cheating by not carrying the havy leader’s bag that the safety, legal and social rules dictate I carry with me. I’m not racing. Yes, I Strava my rides but I’m not going to get that upset if someone goes faster than me because I’m really not racing. In this case, the only person I’m competing with is myself. So, if I’m not racing then you’re not cheating on your E-bike. We can go ride together. It’s far more important to me that you’re enjoying yourself. So, what am I going to do about E-bikes? Go out for a ride with them. That’s what.